Last week, we lost a comedy and screen legend and my heart is still heavy. 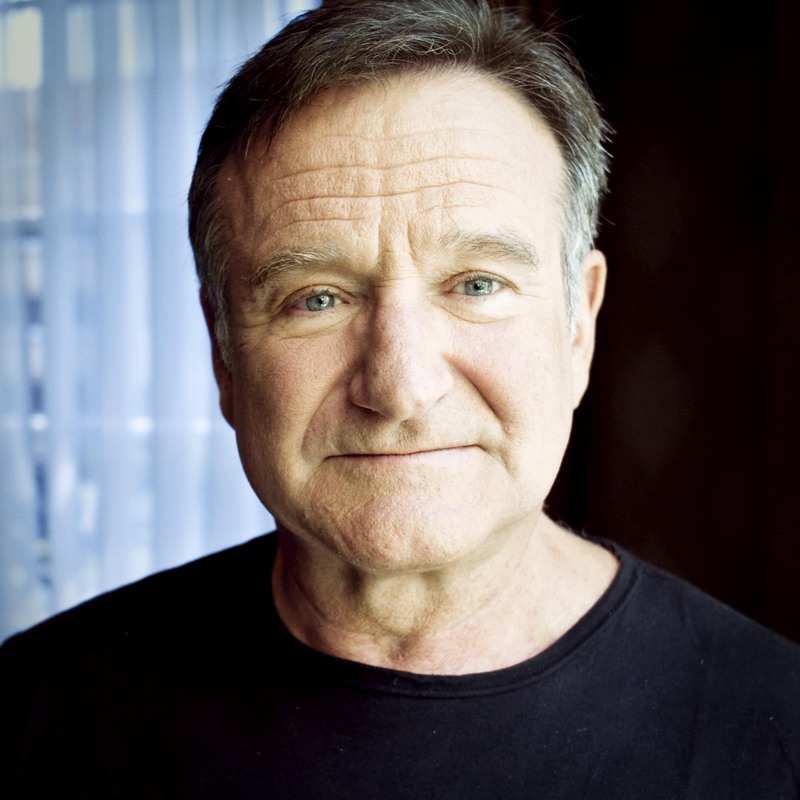 We were forced to say a sad and early goodbye to stand-up comic and movie genius, Robin Williams. The firestorm of comments that erupted following his death, apparently by his own hand, has been amazing and incredibly unsettling at the same time. While droves of Robin “fans” shared memories and condolences with his grieving family, others took the opportunity to chastise Robin (?) by leaving hurtful remarks and belittling the actor on his families social media accounts. Experts than began chiming in to state that his suicide could have been prevented. I have watched and listened in silent horror and I can stay silent no longer. It is painfully obvious that our society still fails to be able to frankly discuss death with compassion and without fear of the conversation. We consider ourselves to be a “modern” society and yet we struggle with dying and grief in ways our ancient ancestors did not. Our modern medicine and ideas have left us ill-equipped to deal with the inevitable event of death and dying. We still find ourselves speechless and uncomfortable during times when our grieving friends and family need us the most. As someone who has had personal experience with these painful matters, I can tell you that it is impossible to pile any more pain, grief, guilt or sorrow onto Robin’s family. You never stop asking yourself if you could have done more…you never stop second-guessing the steps you took, the words you said, the comfort and help you tried to offer. You never stop asking yourself the painful questions that will have no answers. The only silver lining to this incredibly dark cloud is the public conversation that is now happening about mental illness and suicide. If there is one thing that could make us smile after all of this, it is only the possibility that these conversations could save just one person. Let us find ways to join the conversation to help those grieving, with broken hearts, and those struggling with the grip and pain of mental illness. It may sometimes appear that a man is not experiencing the pain of pregnancy loss. It is critical to understand how men and women grieve differently. Life experiences, along with cultural and personality differences mean that men and women are going to have separate, but equal dealings with grief. Remember that men normally grieve in private- not in public. You may not see outward signs that a man is grieving, but do not be fooled. Understand that a man in grief will find himself in a difficult position- he will be shamed if he expresses deep emotions in public and he will be shamed if he does not. Be aware that men often experience anger differently then women during grief. While women may tend to point anger inward, men often direct their anger outward. 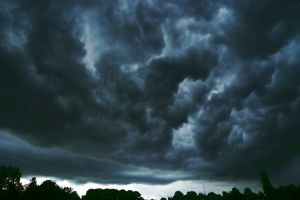 This can manifest as anger toward you or even God. Remember that expressed anger is a normal and healthy response, however hostile behavior is not. Listen. Remember that some men want to talk, but they feel there is no one to listen. A man may also be uncomfortable putting his feelings into words. Encourage him by listening during those times when he does talk about it. Ask what you can do. It is very important to ask what you can do to be of service to a man during his grief, and then do your best to meet his needs. Keep an open mind. Remember that grief is an individual experience. Assuming that a man is not feeling pain if he grieves differently than you will only cause strife and misunder-standing. Dealing with pregnancy loss is difficult for anyone. Understanding a man and him giving the space and support he needs will be critical. 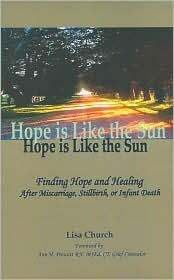 The above information was adapted from the book Hope is Like the Sun: Finding Hope and Healing After Miscarriage, Stillbirth, or Infant Death. We share this article each year near Father’s Day. Minnie Driver Movie on Stillbirth: Own the DVD! Did you miss the release of “Return to Zero” Minnie Driver’s new movie on stillbirth? The movie is now available on DVD! 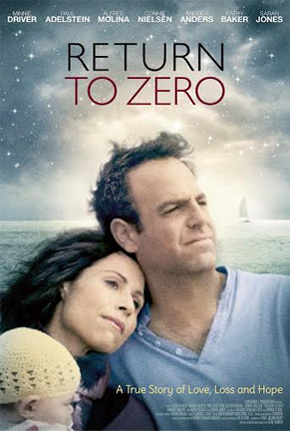 RETURN TO ZERO is based on the true story of a successful couple, Maggie (MINNIE DRIVER) and Aaron (PAUL ADELSTEIN) who are preparing for the arrival of their first child. Just weeks before their due date they are devastated to discover that their baby son has died in the womb and will be stillborn. The movie shows their struggle with the grief of loss and the toll it takes on the couple and their marriage. After deciding to divorce, Maggie finds that she is pregnant and the two reunite for an anxious journey through the difficult pregnancy. Read more about it and order the movie at the Return to Zero website. Fathers can sometimes be forgotten during the grief of miscarriage. Although society expects a woman to show emotion and sorrow, it often expects a man to be the ‘strong one’ and protector of the family. This can lead to great frustration and lack of support for fathers. Fathers may find it hard to talk about their loss. Men can have difficulty in expressing their emotions even in the heart of grief. To others, it can appear that fathers are unaffected by the pain of miscarriage, and this could not be farther from the truth. A man’s difficulty in putting his feelings into words can cause even his wife to question or doubt the depth of his grief. Males also experience grief in a more internal and logical way then their female partners. They may handle their emotions through physical activity, work or hobbies. Again, this gives the impression that they have returned to normal routines with little or no impact. Our culture often leaves us wondering just how to relate to a man facing grief. In many cases, friends and associates will ask, “How is your wife doing?” rather than tread on the shaky ground of male emotions. This can lead to anger and resentment for fathers who can feel a lack of support. They may even begin to feel anger toward their wives who are receiving the attention they crave, but dare not ask for. Men and women face a very different grief process. These differences can leave each one feeling alone and frustrated. It is critical that husbands and wives work together as a couple, but still allow the space that is needed to grieve as individuals. Keep in mind that men often have feelings on Father’s Day similar to those that strike women on Mother’s Day. Offer the same considerations for him and ask how he would like to spend the day.